Active Health Galway are inviting qualified graduates of Tuina and Acupuncture to study in China at the “Source” of traditional Chinese medicine where these ancient therapies have survived thousand’s of years of testing and practice. Our academic association with the “prestigious” Beijing University of Traditional Chinese Medicine allows us to offer this opportunity to graduates here. 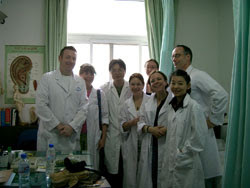 We arrange the Advanced Clinical Course in this, one of China’s largest Traditional Chinese Medical universities. freely available Adobe Acrobat Reader is required to view and print PDF files. Beijing University of Chinese Medicine (BUCM) founded in 1956, is one of the earliest established institutions of higher learning of traditional Chinese medicine (TCM) in China, and it is the only one that is included in the “211 Project” among the universities and colleges of TCM. It was originally under the guidance of State Administration of TCM. The campus extends over an area of 253,000 square meters, it has a total floor space of 277,000 square meters in teaching area. The university consists of following teaching organizations: School of Pre-clinical Medicine, School of Clinical Medicine, School of Chinese Pharmacology, School of Acupuncture & Moxibustion, Administration School, and School of Chinese Nursing, International School, School of Extension Studies, Library, Information Centre, Museum of Chinese Herbs, Museum of the History of Chinese Medicine, and affiliated hospitals, Wang Jing Hospital, HepingLi hospital, China Japan Friendship hospital, Military hospital for Beijing, Dongzhimen Hospital and Dongfang Hospital. Beijing University of Chinese Medicine has a strong and qualified teaching faculty, and 2690 persons are on its staff (1207 persons in the main campus), among whom 622 have senior academic and technical titles. There are 430 professional teachers in the main campus, among whom 259 have senior academic and technical titles, taking 60%, and 79 are tutors of doctoral degree students, forming a qualified teaching staff mainly composed of famous experts and scholars at home and abroad and young professors. There are 15577 registered students in total. Since its establishment, the university has trained 12458 domestic professionals of TCM, and 2119 overseas professionals from 87 countries and regions. It ranks a leading place among the TCM schools in China in the following aspects: educational level, scientific research, medical treatment level, social effect and international cooperation, etc. It consists of teaching, research, medical treatment and industry, forming a famous institution of higher learning of Chinese medicine in China and the world. 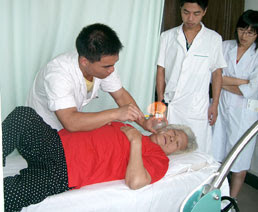 Students who can demonstrate a sound knowledge of TCM and skilful Tuina technique to doctors of the college will be given opportunity to practice! 8am to 12:00 – Clinical intern-ship in one of the teaching hospitals. In the past years our group have worked in 4 to 5 hospitals throughout the 30 day trip. 1:30 to 4:30 – Lectures in the main campus (3 afternoons per week). Saturday/Sunday – free time for sight seeing, shopping, bargain hunting. This schedule cannot be guaranteed as Beijing University of Chinese Medicine has the final say. Sample Lecture Topics – We cannot guarantee these topics due to availability of lecturers. During the stay in China, we have arranged various sight seeing trips around Beijing, to include Great Wall, Summer Palace, Forbidden city, Explore old Beijing by rickshaw (Hutong tour) etc. It’s included for our students. 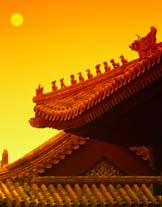 For the most up-to-date information on the city of Beijing – consult Lonely Planet’s Guide to China. Marco Polo described the city in the 13th. Century as one of the finest and most splendid cities in the world. Active Health Foundation facilitate this trip for the benefit of qualified practitioners of TCM and arrange the trip through our academic affiliation with Beijing University of Chinese Medicine, and the Tour company in China. We are not travel agents. We do not accept any responsibility for changes in accommodation, training schedules, tours and practitioners traveling with our group must accept this condition. Each member of the group is expected to learn about and respect the culture, traditions, and standards of China. Testimonials: What was said about the experience…. For more information on this course please complete this form. This entry was posted in Acupuncture, Tuina on March 10, 2013 by activehealth.ie.